“As American As Apple Pie,” But Laced With Spiritual Poison! “But the natural, nonspiritual man does not accept or welcome or admit into his heart the gifts and teachings and revelations of the Spirit of God, for they are folly (meaningless nonsense) to him; and he is incapable of knowing them [of progressively recognizing, understanding, and becoming better acquainted with them] because they are spiritually discerned and estimated and appreciated” 1 Corinthians 2:14 (Amplified Bible). So as we attempt to offer a critical analysis of the world’s fastest growing cult claiming to be Christian, it must be understood both sides of the argument hold to beliefs that defy mere human reason. And of course this begs the question: What causes such belief? The recent presidential candidacy of former Massachusetts governor Mitt Romney has once again raised the issue of religion in American politics. 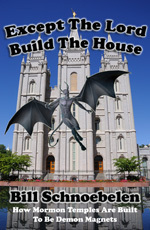 Just as was the case when the Roman Catholic John F. Kennedy ran for President, Governor Romney’s Mormon faith has been harshly criticized by those who fear he could wind up being the puppet of a religious hierarchy. And it appears that the renewal of this debate prompted PBS (Public Broadcasting Service) to once again air a two part, four hour television series on the history of Mormonism. During that program several things were mentioned by Mormon believers that surprised me due to the open and frank manner in which they were stated. Almost all of those taking part were authors, historians, high ranking church officials, etc, who obviously wanted to put the best face on a discussion of their beliefs. So I could not help but be impressed by the way in which they sought to handle the many tough questions relative to the history of Mormonism. Rather than evading them, or angrily “circling the wagons” in a defensive manner, they gave what I perceived to be honest and heart-felt comments on the various problem areas. But of course I do not in any way agree with their doctrine because it is totally alien to what is taught in the Bible. Some of the issues discussed were their former practice of polygamy, the less than stellar background of “the prophet” Joseph Smith, the “Mountain Meadows Massacre” of a non-Mormon wagon train headed for California in which 120 men, women and children were murdered after they surrendered (the order to attack is attributed by many historians to Brigham Young), many years of open hostility toward the US government, Smith’s claims that American Indians are of Jewish ancestry and they built great cities across North America thousands of years ago—just to name a few! And in spite of a body of historical evidence that strongly suggests Joseph Smith was little more than a clever charlatan, plus the almost total absence of archaeological or genetic evidence to back up his “prophetic visions” concerning the peoples occupying early America, the intellectuals featured in the program “soldered on” by making it clear their beliefs were not changed by any of it. But to be as fair and unbiased as possible, we must acknowledge that is the way faith works. “Now faith is the assurance (the confirmation, the title deed) of the things [we] hope for, being the proof of things [we] do not see and the conviction of their reality [faith perceiving as real fact what is not revealed to the senses]” Hebrews 11:1 (Amplified Bible). However, at the same time we must also recognize and admit the obvious: no matter how sincere one may be, faith can be totally misplaced! Satan, the evil genius behind misguided faith, has now fractured Christendom into several divisions, each claiming to be the authentic Church of Jesus Christ. One of the largest, Roman Catholicism, bases its doctrines upon its own traditions along with edicts handed down by sinful and fallible men. While another, “The Jehovah’s Witnesses,” literally reworded the Bible (their “New World Translation”) by such tactics as removing all references to hell, thereby making it conform to their doctrines. 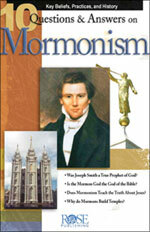 Whereas the third, Mormonism, professes to believe and use the King James Bible “insofar as it is properly interpreted,” but at the same time places much more emphasis upon the writings of Joseph Smith along with ongoing pronouncements by their “prophets.” So of these three, one almost totally ignores Bible doctrines in favor of its own traditions, one rewrote it to suit themselves, and the third adds to it on a continuous basis! Each has zealous adherents who profess faith in their respective system, but none of them can legitimately claim their doctrines are totally based upon the Word of God as it was originally handed down to man. But let us return our focus to those who practice Mormonism and make a statement calculated to get your attention. If I had to make a choice among all the professed adherents of Christianity based solely upon their outward personal appearance, demeanor and good works, I would have to choose Mormons! On average they are without a doubt the most clean-cut and wholesome people one could imagine. Their devotion to family values and work ethic is beyond commendable. Their moral values appear to be beyond reproach and they scrupulously avoid the use of alcohol, tobacco and beverages containing caffeine. They place great emphasis upon education and their ranks continue to be increased by highly skilled professionals—many of whom serve, and have served, at the highest levels of our state and Federal governments. Their young missionaries are zealous in taking the Mormon “gospel” to the uttermost parts of the world. They are quick to come to the aid of others and not just their own, but non-believes as well. They are one of the wealthiest religions in the world today and use much of that wealth in philanthropic endeavors designed to endear themselves to those around them. In short, there is precious little about their behavior that people find to be offensive! And those attributes have definitely helped to make Mormonism into what is now said to be the world’s fastest growing religion. And speaking of coming to the aid of non-believers, I will share something that shows how they proselytize among other groups of professed Christians (those who do opinion polls say they are having their greatest success among Baptists—my own denominational position! ): A few years ago a baby of one of my cousins was sick and near death. And while he and his wife anxiously kept watch over their child at the hospital, they were quite literally overwhelmed by some Mormons who offered them aid and loving comfort. Those complete strangers did for them what their own church either failed to do, or did not do to the degree they thought was needed. So as a consequence my cousin—a professed Christian—converted to Mormonism. Is it not truly ironic that in these last days genuine believers are being “out Christianed” by a group that teaches Jesus Christ and the devil are brothers! “For God so greatly loved and dearly prized the world that He [even] gave up His only begotten (unique) Son, so that whoever believes in (trusts in, clings to, relies on) Him shall not perish (come to destruction, be lost) but have eternal (everlasting) life” John 3:16 (Amplified Bible, emphasis mine). And if you have any doubt as to whether or not they actually teach this ridiculous concept, here is a quote from the June 1986 edition of Ensign, an official magazine of the Mormon faith: "Both the scriptures and the prophets affirm that Jesus Christ and Lucifer are indeed offspring of our Heavenly Father and, therefore, spirit brothers ... But as the Firstborn of the Father, Jesus was Lucifer's older brother." “When the Virgin Mary conceived the child Jesus, the Father had begotten him in his own likeness. He was not begotten by the Holy Ghost. And who was the Father? He is the first of the human family…” “…Jesus our elder brother was begotten in the flesh by the same character that was in the garden of Eden, and who is our Father in Heaven” (Journal of Discourses, Vol. 1, pp.50 and 51, emphasis mine). “When our father Adam came into the garden of Eden, he came into it with a celestial body, and brought Eve, one of his wives, with him…He is our Father and our God, and the only God with whom we have to do.” (The Kingdom of the Cults, Walter Martin, p.212, ISBN 0-87123-796-2, emphasis mine). Clearly, Brigham Young taught that Adam is their Father and their God! And according to his doctrine a glorified man—not the Holy Spirit—begot Jesus Christ in his own likeness! “The Mormon Church today finds itself, no doubt, in a very difficult position where this heinous teaching concerning our Lord’s conception is concerned. Some Mormons with whom the author has spoken repudiate violently Brigham Young’s doctrine of the virgin birth, maintaining that he never really taught such a thing; but upon being faced with statements from Young’s Journal of Discourses and quotations from Mormon periodicals and magazines between the years 1854 and 1878, particularly, they are forced to admit that such was the teaching of their church under Brigham Young. Then, not wanting to appear before a Mormon “court” for failure to uphold the prophetic office of Young, they lapse into silence or reluctantly affirm it” (Ibid, p.214, emphasis mine). My friends, the conception of Jesus Christ by the Holy Spirit, His Virgin Birth, His death, burial, and resurrection are non-negotiable pillars of the Christian faith. So what could possibly prompt Mormons, such as those who “repudiate violently Brigham Young’s doctrine of the virgin birth,” to remain silent? They know all too well that genuine Christians will “come unglued” when such heresy is even mentioned! And since controversy is not good for business, they have a public relations department that is constantly occupied with trying to keep a lid on what they actually believe and teach. Mormonism is a classic example of the unscriptural belief that good works are necessary for salvation. And the principle of a “salvation through works” is central to every false religion known to man. But genuine Christianity stands totally alone in proclaiming salvation is by the grace of God, plus nothing! One of the most poignant moments in the PBS series was when a Mormon wife and mother sadly reflected upon her lot in life. She said something to the effect that she had to try to be beautiful at all times, smiling when she did not feel like smiling and in general live as a perfect example of what a good Mormon wife was supposed to be. And when that issue was brought up, I was taken aback when one of the Mormon apologists offered the statistic that their women use more antidepressants than any other demographical group in the US! Hellooo—such is the unwelcome fruit of trying to keep up appearances when your salvation depends upon winning other people to your religious position. The principle employed is that honey catches more flies than vinegar! The structure of Mormonism appears to be so fiendishly intertwined that your actions directly affect the spiritual attainments of others. If you “mess up” it can adversely impact the degree of reward in the “celestial kingdom” for your family and potentially others within the organizational framework. That was clearly implied in a segment of the PBS series concerning the requirement that all young men between the ages of 19 and 24 pay their own way to go on a two-year mission to whatever region of the world they are assigned by Church headquarters. (Young women called “sisters” also serve, but are apparently not required to do so). And the conversation within the family featured in the documentary centered on a 19 year old son who was struggling with the prospect that he must leave them for two years. So to make sure the consequences of not going were understood, he was exhorted by the family that failure would cause loss for all of them as well as the Mormon Church itself. Talk about pressure! The point driven home was that granddad went on his mission, dad went on his mission, and you are going on yours! But a more sinister aspect of their religion is reflected in the duality of good and evil expressed in both their theology and their temples. Just a few months ago my wife and I were on a “canyon lands tour” of the Southwest and spent several hours in Salt Lake City. Our hotel was just a couple of blocks from Temple Square so we took the opportunity to go into the Tabernacle and view their world renowned pipe organ. While we were there we also saw (or should I say, heard?) a demonstration of the unbelievable acoustics of that large auditorium. From the very back row we could easily hear a pin being dropped on the pulpit by one of the young “sisters” who volunteer to work there. Afterwards, we walked around outside the Temple and the smaller “Assembly Hall” (as “gentiles” we were not allowed to enter either of them) and took note of many symbols that speak volumes to anyone familiar with the occult. Over the front and rear entrances of the Assembly Hall were stained glass windows with a large “Star of David” symbol in each of them. Of course the official propaganda of Mormonism says they represent the 12 tribes of Israel, but those who understand occult symbolism know better! The two triangles form a “hexagram”—one of the most evil symbols in the occult world and is used to conjure up demons by those who dabble in the dark arts. Then I saw that over the front and rear entrances of the Temple itself was engraved stonework depicting the “all-seeing eye of God” (actually derived from the “eye of Horus” in occult lore) and a “grip, or handshake” symbol—both of which play prominent roles in the rituals of Freemasonry. Furthermore, spaced along the left side of the building was 5 pointed “stars” (pentagrams) with two points up and one point down—symbols for “black magick” (spelling intentional). And spaced along the right side of the building were corresponding pentagrams with one point up and two points down—symbols for “white magick.” Both the black and white aspects are necessary to maintain the balanced duality concept of Gnosticism, the ancient philosophy upon which both Mormonism and Freemasonry are based. Then interspersed among the other symbols was stonework depicting phases of the moon and sunbursts—all of which reek of Freemasonry! “According to generally-accepted Mormon doctrine, the marks in the garments are sacred symbols (Buerger 2002, p. 58) . One proposed element of the symbolism, according to early Mormon leaders, was a link to the "Square and Compasses", the symbols of freemasonry (Morgan 1827, pp. 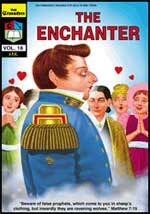 22-23) , to which Joseph Smith had been initiated about seven weeks prior to his introduction of the Endowment ceremony. Thus, the V-shaped symbol on the left breast was referred to as "The Compasses", while the reverse-L-shaped symbol on the right breast was referred to by early church leaders as "The Square" (Buerger 2002, p. 145) ” (emphasis mine). So in conclusion let us to refer back to the question I posed in the third paragraph from the beginning: What causes such belief? As I stated in the earlier referenced article [You Expect Me To Believe That? ], Yahweh the God of the Christian Bible drew me to a position of saving faith. Otherwise, I would not have believed the Bible record concerning Jesus Christ! But since Mormons deny that the “ordinary Jewish god Yahweh” is in fact God the Father, from whence does their unshakable faith originate? According to the Bible, there is only one option left open and that is from Satan, the god of this world. “For the god of this world has blinded the unbelievers’ minds [that they should not discern the truth], preventing them from seeing the illuminating light of the Gospel of the glory of Christ (the Messiah), Who is the Image and Likeness of God. 2 Corinthians 4:4 (Amplified Bible, emphasis mine). My friend, the devil is a master counterfeiter and Mormons are so nice and loving in their demeanor that they often make genuine Christians look bad by comparison! But praise the Lord, only the degree of reward we will receive, or lose, at the Judgment Seat of Christ is dependent upon such things and not our salvation! God saves by grace alone and His free gift is in no way based upon personal merit, relative “goodness” or what we do for others. “For it is by free grace (God’s unmerited favor) that you are saved (delivered from judgment and made partakers of Christ’s salvation) through [your] faith. And this [salvation] is not of yourselves [of your own doing, it came not through your own striving], but it is the gift of God; 9 Not because of works [not the fulfillment of the Law’s demands], lest any man should boast. [It is not the result of what anyone can possibly do, so no one can pride himself in it or take glory to himself. ]” Ephesians 2:8-9 (Amplified Bible).